i love pide. i haven’t made it in a while. i just made pits and kafta this morning. Hello. Love your pide recipe! My husband and I visited Istanbul ( for 13 days) a couple of years ago. It was a wonderful place. The people were consistently kind, courteous, and gracious. The food was amazing. Istanbul, one of the most ancient cities in the world, was so beautiful. We really hope to return there one day. Ever since returning, I am constantly looking for recipes to make at home that recreate the wonderful food we had there. So happy to read about the upcoming Istanbul itinerary! Just want to pack my bags and take off with you, Ozlem:) what a beautiful country, definitely on my list of places to visit, hopefully with you…xxPeri. what a delightful, interesting post! 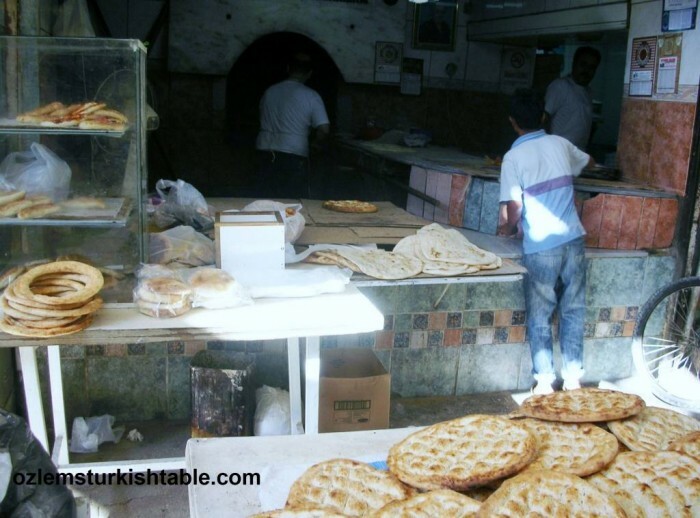 Turkish ‘fast food’ is one of our delights, especially when traveling, which we do a lot. We are also lucky enough to have a really good Konya restaurant in our local town and their pide will stretch acroos two tables – a real monster! I’ve had one of those “long” pides, amazing! Enjoy the genuine article and thank you so much for your kind words! Özlem’ciğim, One thing I love about your blog is how much fun you always seem to be having! Love the pic with the guys making baklava. Making pide sounds like fun, too. We’ll definitely have to try it. Merhaba Jolee, cok tesekkurler : ) Making baklava with Gulluoglu usta was an incredible experience, I’d go back there in a heart beat! Making pide is really fun and easier than you think, hope you enjoy it. Delicious and so appealing. Whenever I get home late and don’t feel like or don’t have the time for cooking, then it would be so good to be able to go to a local restaurant and order some Kiymali Pide just as easily as it is to order pizza. Oh well, I could just make my own. I share your thoughts Phil, it would have been just wonderful to be able to order pide from a local shop – i hope you enjoy making your own sometime, many thanks for stopping by. 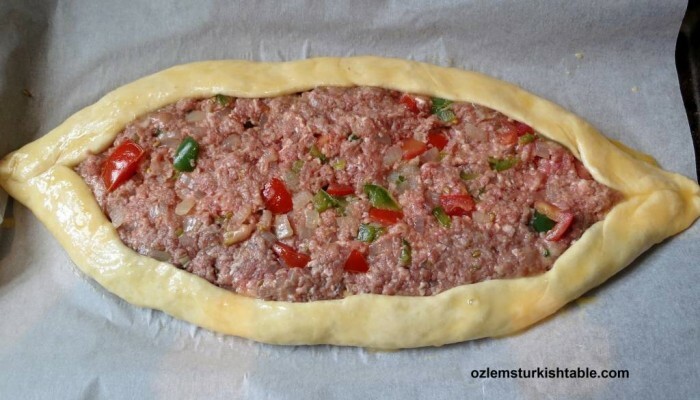 I have made your Kiymali Pide, it was delicious. I have been trying to contact you regarding your next cooking class in Weybridge. I have gone through the normal contact channel but I have not heard anything from you, thought I would try this way. Enjoy your recipes very much but I have one problem with the kıymalı pide when I make it. The sides always flatten out in the oven. Doesn’t affect the taste, of course, but they look nothing like yours when they come out. No longer looks like a boat. Any ideas why? Hi ozlem , I’m so happy to have found your blog it has everything ! My question is should I cook the meat get it all ready then cook it when I’m ready or just cook it and heat it up ? 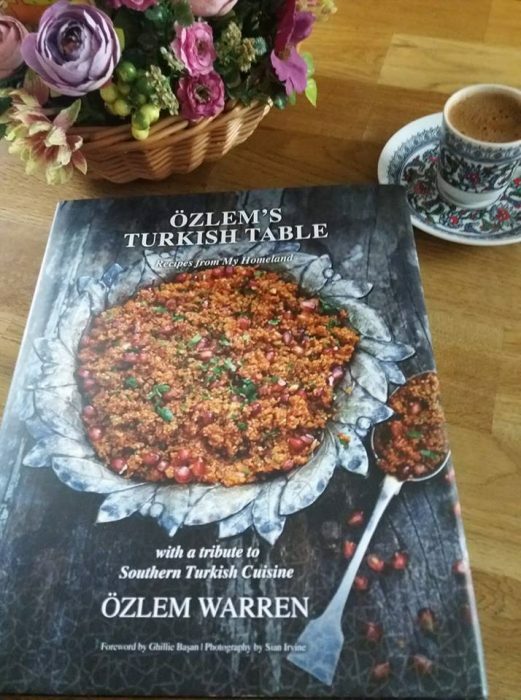 Dear Ozlem, thank you for a perfect receipe. I already try the pide in my Turkish restaurant in Bucharest, Romania. But once I made the receipe I must say I am afraid that the restaurant one is no longer that interesting. Just one question: wouldn’t be better to add also parsley to the mixture? Merhaba James, delighted to hear you’re enjoying the Pides; Turkish dried cured beef pastirma, or other dried cured meats, cheese, chunks of meats, tomato, all work well. You can also crack an egg in the middle, I have that recipe in my blog too, enjoy! 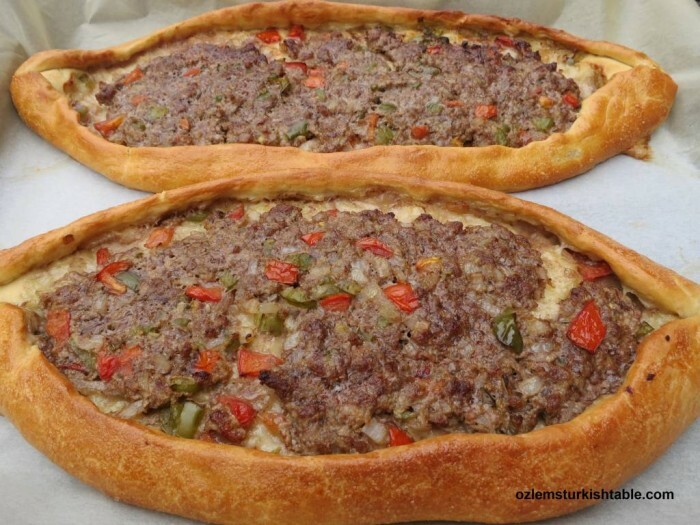 Thank you so much for your kind note – I am delighted to hear you enjoyed my Pide recipe – your additions of chilli and za’atar is delicious too : ) Afiyet Olsun. 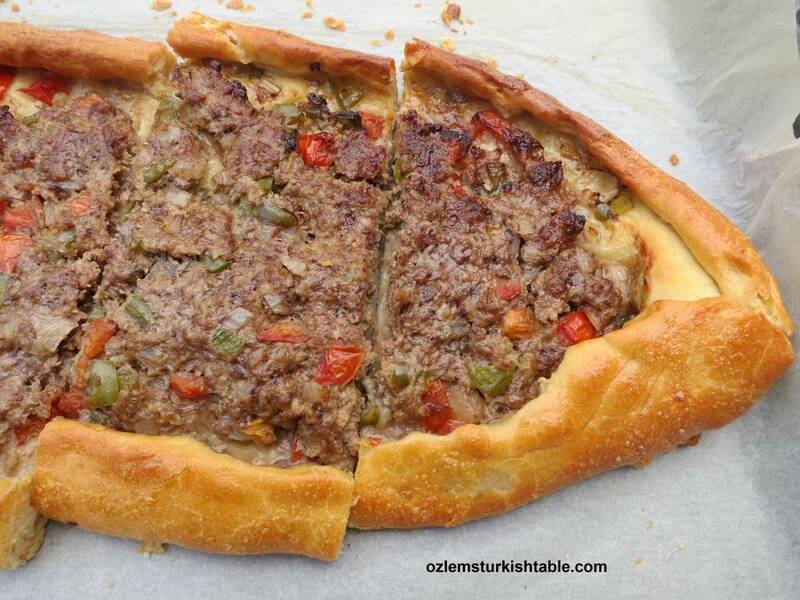 Many thanks for the link, your pide looks delicious!